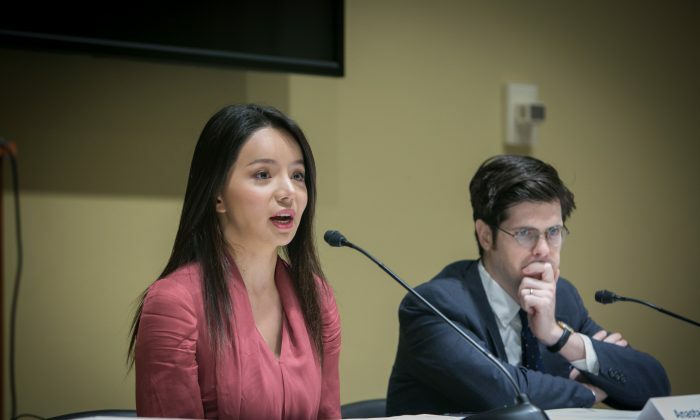 WASHINGTON—In a recent screening of an award-winning film on China’s organ harvesting, star actress and former Miss World Canada Anastasia Lin again called for policymakers and others with influence to pay attention and to help stop the crime of organ harvesting perpetuated by the Chinese regime against Falun Gong practitioners. The 2016 film “‘The Bleeding Edge,” which won the Gabriel Award for best film in 2016, tells the dark story of the organ harvesting of Falun Gong practitioners in China. The film has previously been screened at the Canadian and United Kingdom parliaments. In the film, Anastasia Lin plays Falun Gong practitioner Chen Jing, who is jailed by the Chinese regime and is offered the choice of either signing a document renouncing her spiritual practice or facing torture. Despite being subjected to horrendous torture and abuse in the “correctional facility,” Jing refuses to give in and is eventually murdered, with her organs harvested. 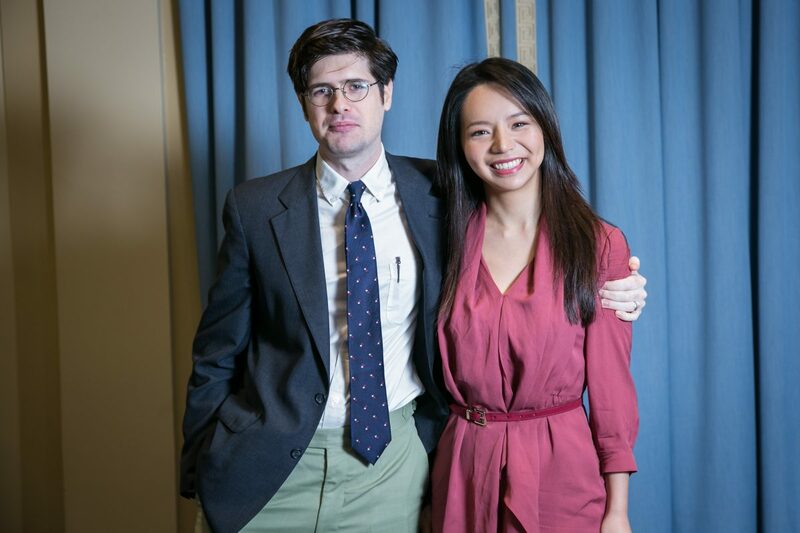 Anastasia Lin, who was the Miss World Canada in 2015 and 2016, personally attended a film screening at the Rayburn House office building on Capitol Hill on Oct. 16 to share her perspective with Congressional staffers who had come to see a screening of the film. Speaking about the film, Anastasia Lin said that the dark, uncensored portrayal of torture and organ harvesting was meant to remind the viewers that what they are seeing on the screen are the things that are actually happening in China to many innocent lives. Matthew Robertson, a research fellow at the Human Rights Law Foundation also spoke at the film’s screening and said that all of China’s official statistics on organ transplantations are fake. The estimated number of organ transplantations performed each year, for example, is far higher than the reported numbers of death row executions and organ donations—the official sources for organs used in transplantation—combined. The huge discrepancy in official statistics shows that the Chinese regime has much to hide beneath the surface, according to Robertson. Anastasia Lin said the goal of making the film is to call upon those in a position of influence to take further action to stop the Chinese regime’s organ harvesting and its continuing persecution of Falun Gong practitioners. Specifically, she hopes to see the Congress enact a ban on the infamous practice of “transplant tourism,” where Americans travel to China and pay to receive transplanted organs, most of which are forcibly extracted from Falun Gong practitioners.